YouTube is perhaps the largest library in the world, and yet we don't capitalize on its power enough in our classrooms and libraries. In this webinar, we’ll look at why YouTube is an ideal tool for curation, celebrating student creativity and voice, and digital citizenship/leadership. This session will cover some YouTube basics such as how to customize your channel and organize and curate playlists, as well as some great educator channels to follow. You’ll also learn how to contribute ideas to ONedSsChat, a student-led tweet and talk that uses YouTube and Twitter as a platform to talk about a variety of topics created by students, for students. 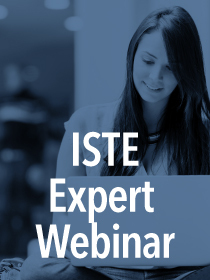 This ISTE Expert Webinar is presented by Jennifer Casa-Todd of the ISTE Librarians Network.